Sue Williams showed consummate ease in completing two paintings in two hours at the latest demonstration at the Writtle Art Group. 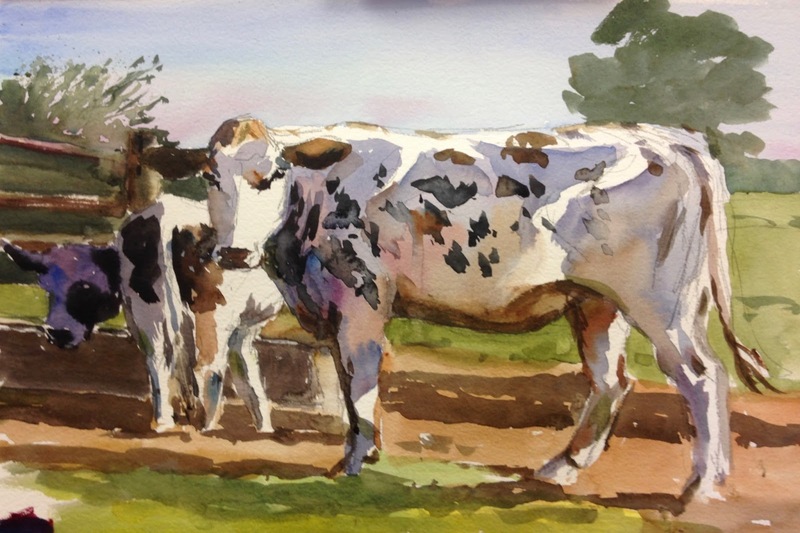 The first, a watercolour featuring cows, allowed Sue to show the skills and thinking behind her work. Her mixing of colours on the paper and how she builds up textures, was a delight to see. The second allowed Sue to compare the attributes of watercolour and acrylic inks and showed how they can result in delightful, vibrant, paintings. We thank Sue for a wonderful morning.